The team/association colors are Red, White and Blue. It really doesn't matter what color gear your player wears but if you are trying to remain standard then, Black helmet, Black Gloves and Black Pants will serve your player well. 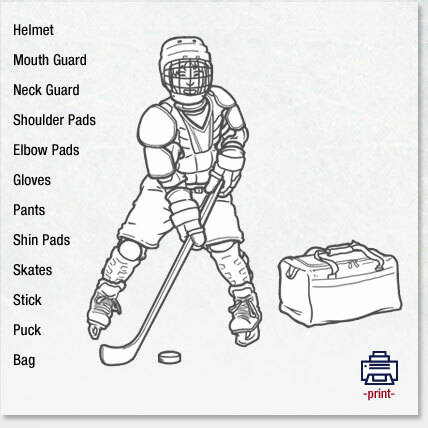 Below you'll find a list of equipment that is required to play. If you'd like to print out a list with brief fitting considerations then click on the Fitting Guide button to the left.